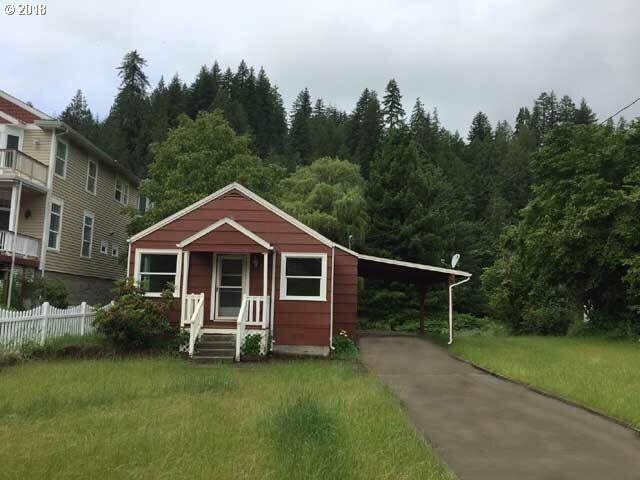 Quaint 1940's bungalow across the street from the river in Mapleton with river views! Old-fashioned beadboard built-ins & vintage style, this cozy home with carport is an affordable getaway. Brand new septic installed in 2018 by Royal Flush Environmental. Walk to library, store, & community dock. Priced to sell! Affordable country, small town living!